Security measures are in place for the safety of our students. All doors will be locked during the day. To gain access to the main office, visitors will use a buzzer to communicate with office staff. 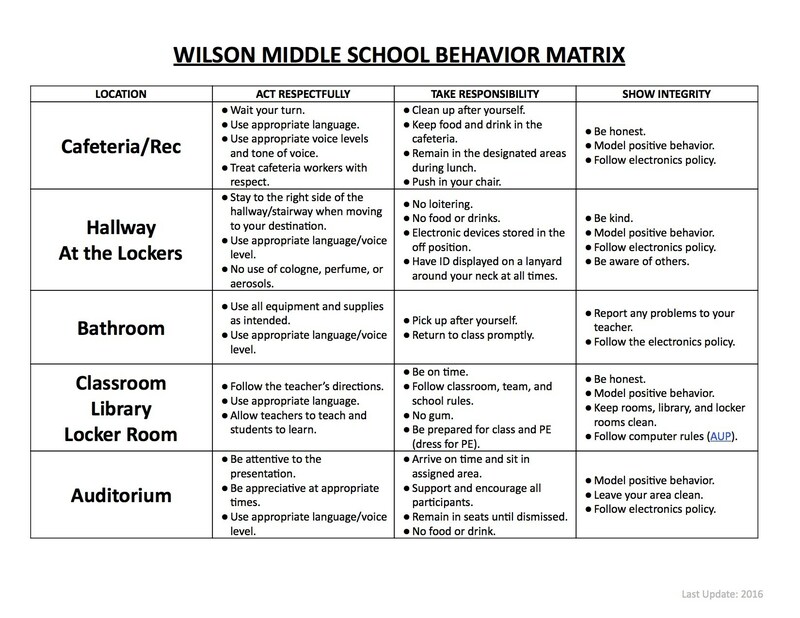 With access to a security camera viewing the front entrance, a Wilson staff member will ask visitors to identify themselves and the reason for the visit before they will allow access. This added safety measure has been supported by the Wilson Student Congress and Crime Stoppers organizations. 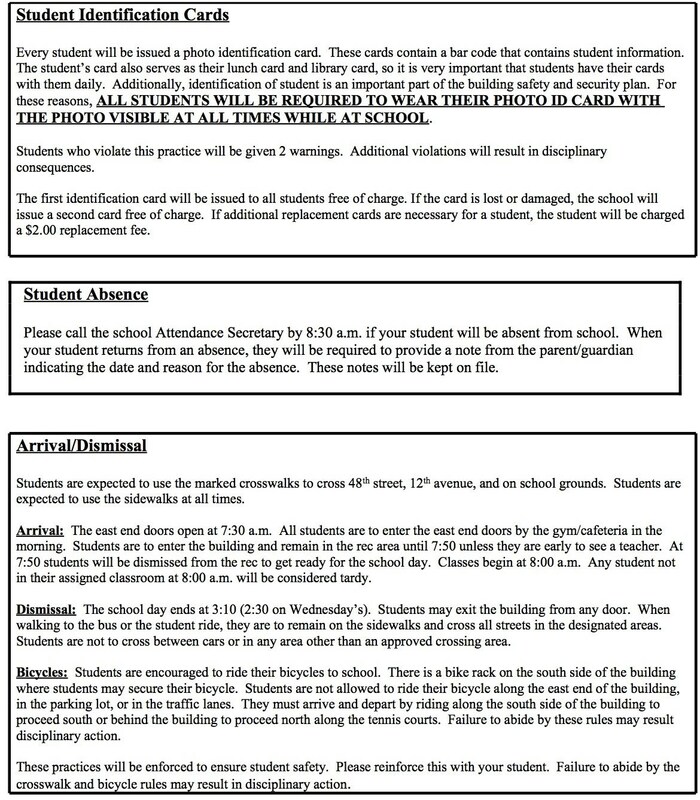 The parent who is picking up the student(s) will need to come to the main office in person and sign the student out. If the parent is having an adult not listed as an emergency contact pick them up, a signed note is required giving them permission to take the student. 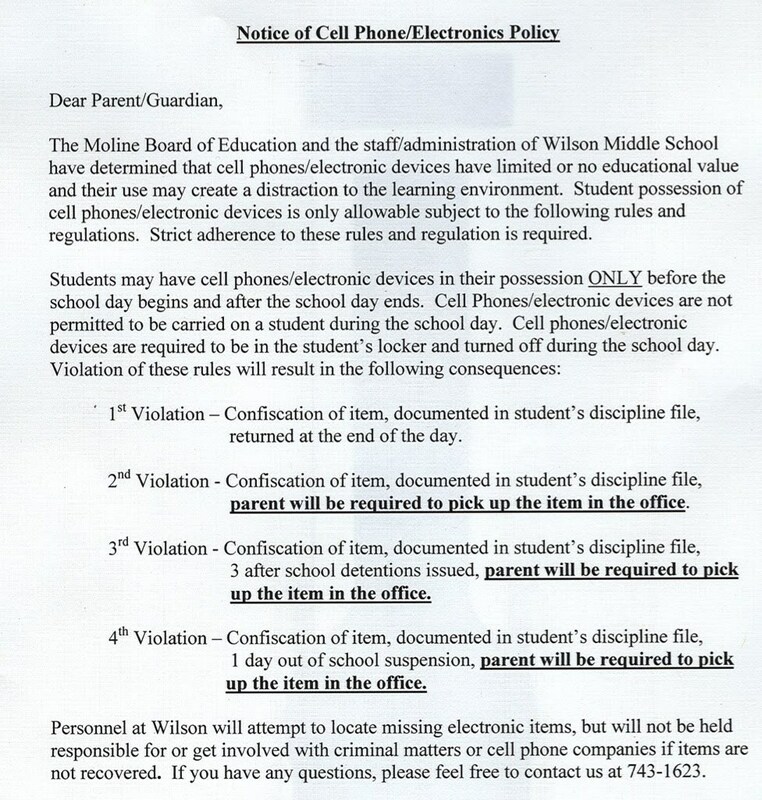 Wilson Middle School will not pull a student out of class unless the parent is present and has signed the student out. Please do not call the office asking to have your student(s) pulled out of class ahead of time. 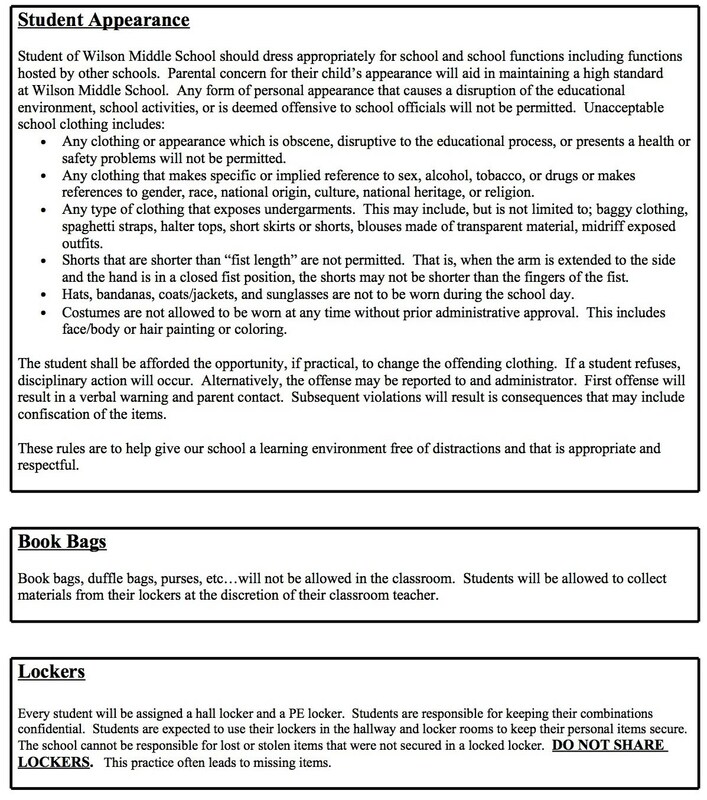 Policy for Student Appearance (Dress Code) et al.